Our day trip to Delft Island (Neduntheevu in Tamil, or Neduntivu in Sinhala), 30kms off the Jaffna coast in Northern Sri Lanka, was long, arduous, yet the most unique on our trip to Sri Lanka. The journey to Delft begins at Kurikadduwan harbour, about an hour south-west of Jaffna. After a bumpy, enclosed, hour-long ferry ride, you arrive onto the mysterious, isolated, outlying coral and limestone island. With a long history dating from the ancient Chola Dynasty and Portuguese, Dutch and the British Colonial periods, history tugs at your sleeve with every step you take on Delft. 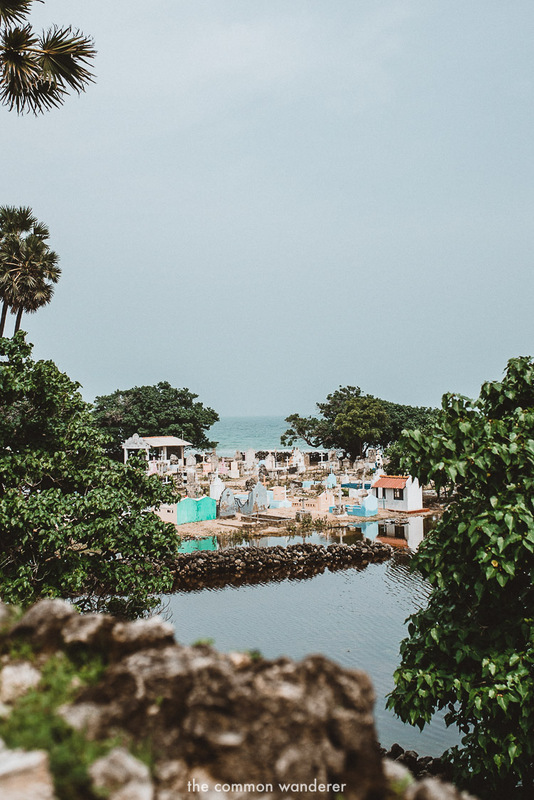 Amongst the swaying palms and gentle sea breeze, remnants of the island’s past are dotted throughout; quaint tiny villages, colonial ruins, winding dirt roads and coral walls hint at bygone eras and simpler times. Although Delft has not yet fully embraced modernity, or indeed tourism (or maybe it's vice versa and tourists haven't yet embraced Delft), we feel it only adds to the rustic charm of the island. There’s plenty to see and do, the locals are wonderfully friendly, and it’s entirely possible to fill a day of sightseeing without any hassles. Just don’t arrive expecting to find food - despite the island’s 6,000 full time inhabitants, the island is devoid of any restaurants! 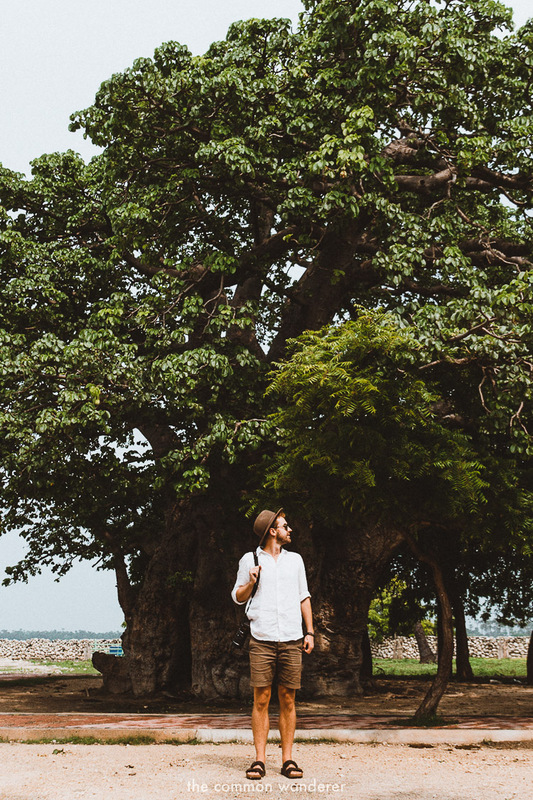 Delft island may not be your stereotypical postcard-worthy island, but that's part of its charm, and makes it one of our favourite things to see in Jaffna. Delft island is smack bang in the middle of the Palk Strait, separating northern Sri Lanka from southern India. The island’s about 30km west of Jaffna city, and is just 8km in length and 6km at its widest. Sri Lanka is currently experiencing a tourism boom, thanks in part to Lonely Planet who named it the number 1 destination to visit in 2019. With everyone from backpackers to luxury travellers flocking to this island paradise, the main attractions can sometimes feel a little busy and overrun in the southern and central reaches of the island. But this isn’t so in the north, where the region is finally rebuilding after a bloody 26 year civil war, which only ended in 2009. 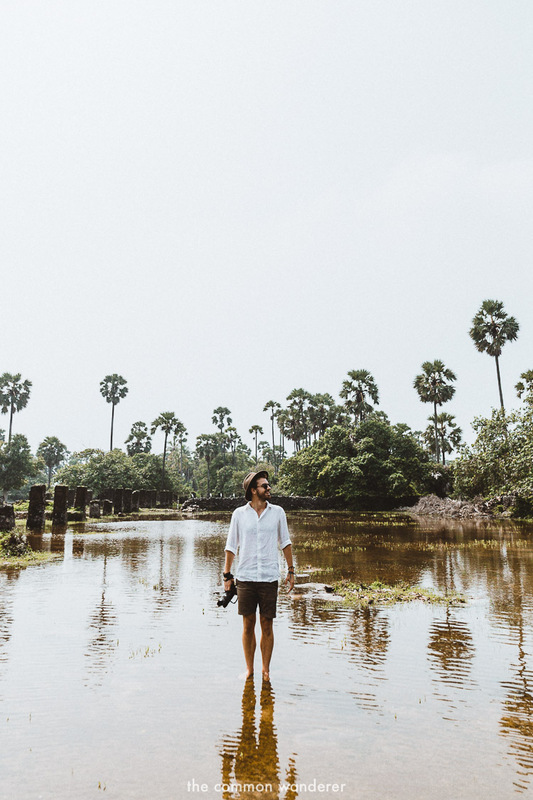 The north of Sri Lanka is seriously raw, and Delft Island takes authenticity to a whole new level. It's so remote and off the beaten track that at times you feel like you're on another planet. It's somewhere where modern life doesn't exist beyond a few random power lines, and the faint 3G signal from the mainland. Delft island is also the first place we've witnessed the perils of climate change first hand. Rising sea levels have lead to an increased water level over the whole island, affecting crops, homes and ancient sites. It was seriously confronting for us both to be walking through fields in ankle-deep water, and an experience which has driven us to become even more environmentally conscious since. Life on the island is simple yet intriguing, so if you're a fan of authentic, off the beaten track travel experiences, Delft island is definitely worth your while. Surprisingly for a near-deserted limestone/coral island in the middle of the straits between Sri Lanka and India, Delft island is full of historical sites to see and things to do. Local tuk tuk drivers will greet you at Delft harbour and offer to take you on a tour of the island, which takes around four hours and visits all the main sites and attractions. We definitely recommend taking them up on this as the island is hard to navigate, and the major sites are dotted randomly throughout the island. It also gives you the opportunity to witness the island’s unique landscapes, while getting a local’s insight to life here. Delft Island baobab tree | A huge baobab native to tropical Africa planted on Delft in the 16th century by Arab merchants. After spending so much time in Africa, it was pretty flipping weird to see baobab trees here in Sri Lanka. Old Dutch Hospital | This old hospital was built by the Dutch and converted into an administrative centre in the early 1900's. In 'The Courts', there's a British Emblem inscribed on the wall, which gives you an insight into the reach of the British Empire. Pigeon Nest | Set in the gardens of the Old Dutch Hospital is a unique structure used to house messenger pigeons during the Dutch reign. The pigeons used to carry messages between Delft island and Jaffna. Food can be hard to come by on the Island; there's one restaurant called Delft Hotel located just off the Jetty which serves vegetable roti and wade, otherwise a few small market stores sell snacks. There's another 'hotel' close to the jetty called ‘Island Hut’ which serves curries and fresh seafood. We definitely recommend you bring at least 2L of water (in a reusable bottle of course - buy here), and food for the day, including snacks. From Jaffna you need to get to Kurikadduwan harbour, about an hour away. Take the 776 from Jaffna bus station (LKR 90 per person), departing at 6:30, or a tuk tuk (LKR 2000). The ferry for Delft leaves Kurikadduwan harbour at 8am or 9am (LKR 100 per person), with a maximum number of 100 passengers, so it's important to get there 30mins before departure. Be warned though, this ferry ride is not for the faint hearted. It's on a rusty old ferry which looks like it could sink at any moment. Thankfully, it actually functions pretty well. Returning home, we recommend catching the 14:30 ferry back to Kurikadduwan harbour. We've read that some people have arrived at 13:30 only to be rushed onto a boat, so check with your tuk tuk driver as to when you need to be back at the jetty for the return ride home. Once back at Kurikadduwan jetty, there will be a bus waiting to take you back to Jaffna. The bus will be full, so try and run to get a seat as the return ride home is extremely bumpy. Upon arrival to the Delft Island harbour, you can organise a tuk-tuk to take you to all the major sights on the Island. There are a number of tuk tuk drivers waiting for tourist arrivals, so you shouldn’t have any issues organising a tour. Expect to pay between LKR 1500 - 2500 for the four-five hour tour. LOOKING FOR MORE INSPIRATION FOR YOUR SRI LANKA TRIP? YOU'LL LOVE THESE POSTS TOO!